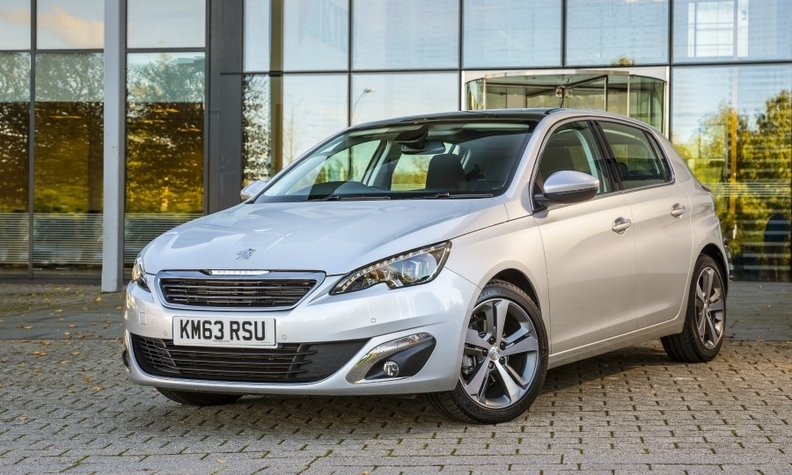 PSA's domestic sales rose 14%, lifted by demand for the 308 hatchback. PARIS (Reuters) -- French car sales rose 9 percent in March led by gains for domestic automakers Renault and PSA/Peugeot-Citroen. Registrations advanced to 179,871 cars last month from 165,162 a year earlier, the CCFA industry association said in a statement today. "This is a modest rebound but we should stay cautious," CCFA spokesman Francois Roudier said, citing fleet orders that remain low. "We're still in crisis mode." The French market is showing signs of a stop-start recovery. Sales rose 9 percent in December then stagnated in the first two months of the year. A 1 percent drop in February ended almost five months of straight sales gains. Renault Group said today that its domestic car sales rose 21 percent last month, helped by a 53 percent rise in deliveries at the group’s budget Dacia brand. PSA recorded a 14 percent rise in monthly vehicle sales, boosted by demand for its 2008 subcompact SUV and 308 hatchback. Download PDF for French car sales for March. The broader European auto market is recovering slowly from a six-year slump that has been particularly severe in France, Spain and Italy. Most industry analysts and executives are cautiously predicting a return to growth this year at a low single-digit rate.